Michael Anthony are pleased to present this four bedroom detached family home in need of cosmetic refurbishment located in the popular area of Bradwell Common. Upon entering the property you are greeted with the entrance hall with stairs rising to the first floor, you then have a sitting room/dining room with front aspect, there is a downstairs cloakroom with a lounge to the back of the property with sliding doors leading to the garden, adjacent you have the kitchen with a range of eye and base level units with a courtesy door leading to the utility room with a door leading to the side of the property with a pathway leading to the garden. On the first floor you have a master bedroom with built in wardrobes and an en-suite with three further bedrooms and a family bathroom. 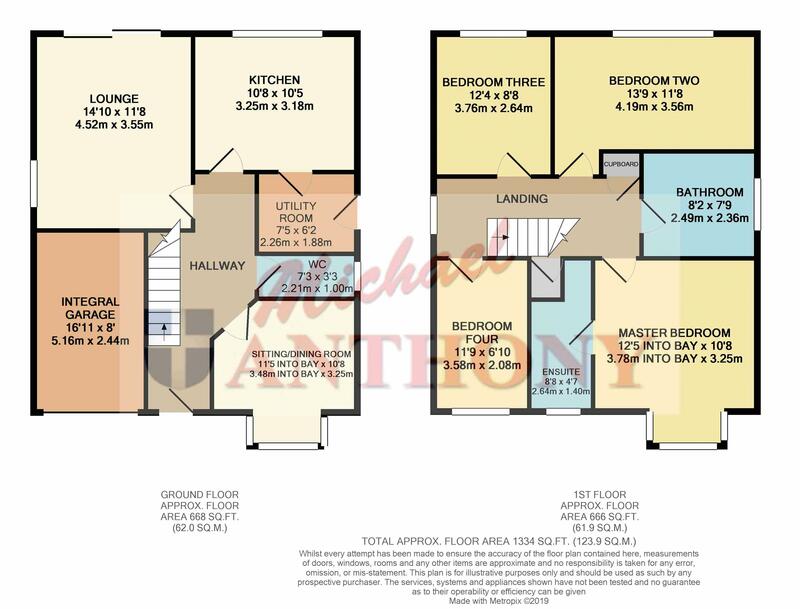 The property is double glazed throughout and has an integral single garage. Call now to arrange an internal inspection on 01908 393553.